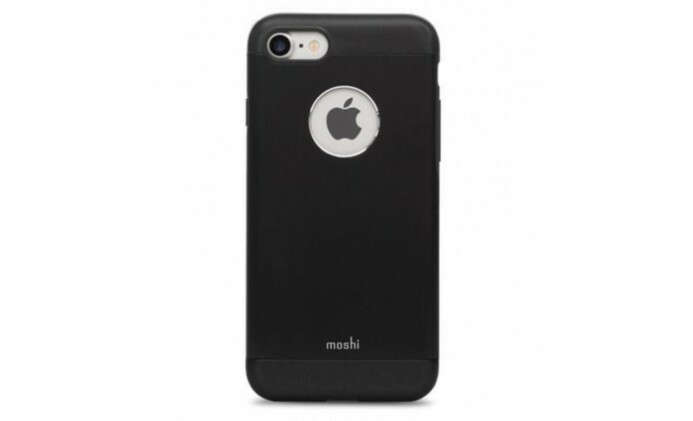 The Moshi Armour is constructed of a shock-absorbing inner shell for drop protection, fused with a diamond-cut aluminium backing plate with a gorgeous brushed finish. All buttons bar the lock switch are fully enclosed and a bezel edge protects both the screen and the camera, preventing scratches when on a flat surface. All pretty standard. But here’s the thing – it’s only 0.92cm (0.36”) thick and weighs a mere 30g (1.05oz)! This has to be one of the thinnest, lightest cases we’ve ever tested. Despite this, the Armour has been drop-tested to military standard 810G. Note that we only said ‘drop-tested’ – meaning it hasn’t been tested against any of the other components of MIL-STD-810G such as dust, rain and salt. There is only so much a 30g case can do, after all. Yet it does it so stylishly. The brushed aluminium finish is just beautiful, both to look at and to use, and is surprisingly good at not retaining fingerprints. Even better, Moshi have developed a range of colours that perfectly match any retail edition iPhone 7 produced, even the (PRODUCT)RED™ iteration. (See below to pick your matching colour). The Moshi Armour comes with a 12 month warranty, however, scratch the authentication panel on the back of the packaging to register it online and Moshi will upgrade that to a Limited Lifetime Warranty. Sweet deal. The only minor negative we could find was that the lock switch is a little hard to access for those with big fingers. Also, take note that this case will NOT fit the iPhone 8. Summed up, the Moshi Armour is perfectly designed for users that want sleek and elegant protection from basic knocks and drops, but if you plan on anything heavier we would recommend upgrading to something like the OtterBox Commuter or the LifeProof FRE. We give it 4.5/5 stars.